Update: Please be advised that defendant Abernathy, wanted in connection with the homicide that took place in Linden yesterday, turned himself in to Prosecutor’s Office detectives without incident at approximately 12:30 p.m. on Thursday, December 21st. Abernathy is being lodged in Union County Jail pending a first appearance in Superior Court expected to take place Friday, December 22nd. Investigators are actively searching for a suspect wanted in connection with a fatal shooting that took place Wednesday afternoon in Linden. Charges of murder and two related weapons offenses have been filed against 23-year-old Shansey Abernathy of Linden in connection with the death of 27-year-old Alphonso Pearson. Shortly after 12:45 p.m. Wednesday afternoon, members of the Linden Police Department responded to the 800 block of Cleveland Avenue on a report of a shooting to find Pearson suffering from a gunshot wound to the chest outside of his home. Pearson was rushed to Trinitas Regional Medical Center in Elizabeth, where he was pronounced dead. An ensuing investigation involving the Union County Homicide Task Force, Union County Sheriff’s Office Crime Scene Unit, Union County Police Department Ballistics Unit, and Linden Police Department quickly resulted in Abernathy being identified as a suspect in the case. Anyone with information about the shooting or Abernathy’s whereabouts is being urged to contact Homicide Task Force Sgt. Jose Vendas at 908-358-3048. 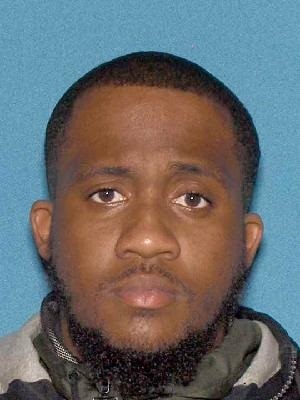 The Union County Crime Stoppers are offering a reward of up to $5,000 for information leading to an arrest and indictment in this case; tips can be given anonymously by phone at 908-654-TIPS (8477), via text message by texting “UCTIP” plus a message to 274637 (CRIMES), or online at www.uctip.org.